Nylon-faced mallets are non-marking and shock cushioned. Faces easily screw out for replacement. Smallest hammer has hickory wood handle. 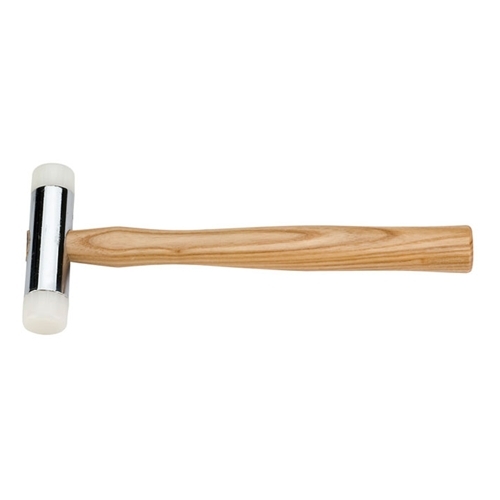 Larger hammer handles are plastic with comfortable rubber nonslip grip that is impervious to moisture and oil. 1" 3-7/8" 10 oz. 10"
1-1/4" 3-7/8" 1 lb. 11-1/2"
1-1/2" 4-3/4" 1-1/2 lbs. 12"